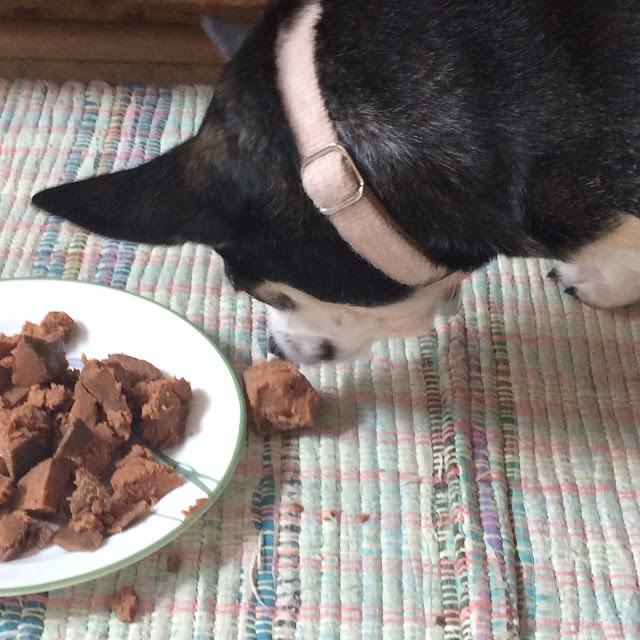 In case you're new here and didn't already know, Venus and I are part of the Chewy Influencer program, which means each month Venus gets to try something new that Chewy has to offer in their online store. Chewy.com has a wide variety of pet food ranging from wet to dry to raw to freeze dried, as well as treats, toys, and other pet supplies for cats, dogs, and more! 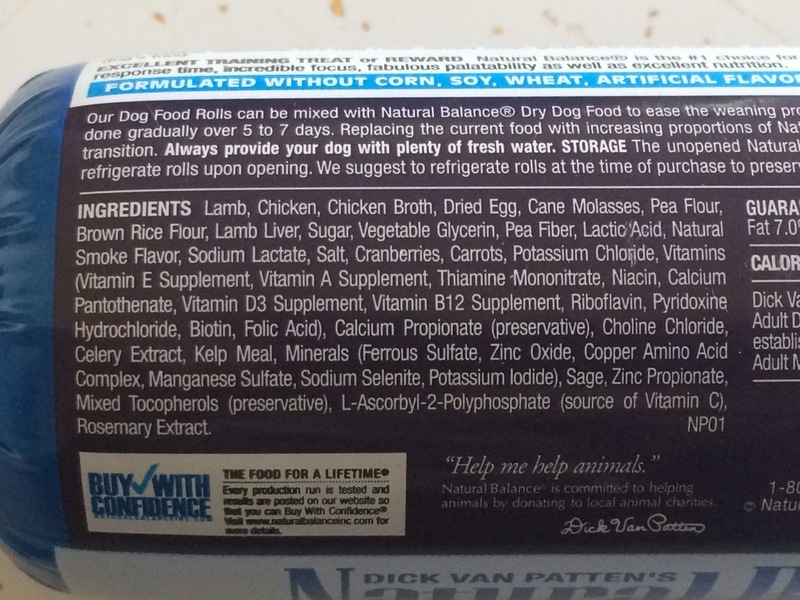 For the month of June, Chewy sent Venus a roll of Natural Balance Lamb & Chicken Formula Dog Food Roll to try. 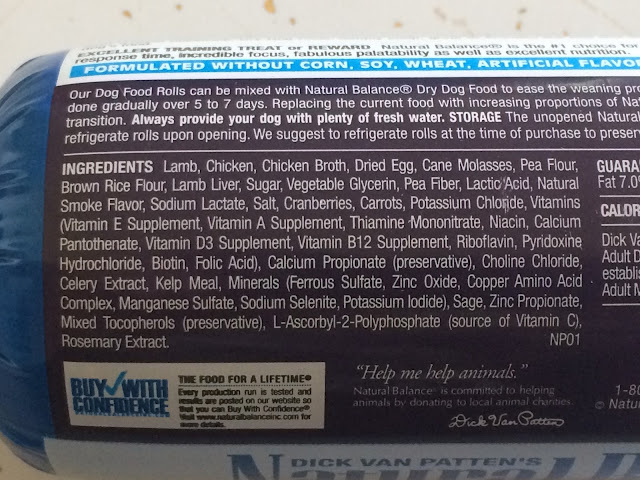 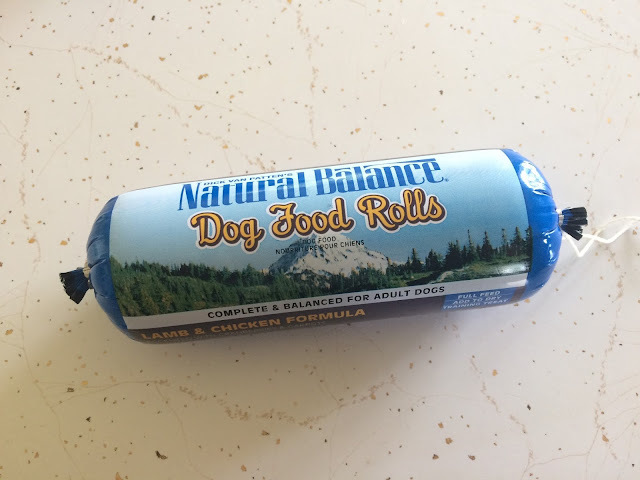 I was intrigued about these dog food rolls from Natural Balance because we have some camping trips coming up this summer, and they seem like an easy way to feed fresher food instead of just converting back to only dry food while away. 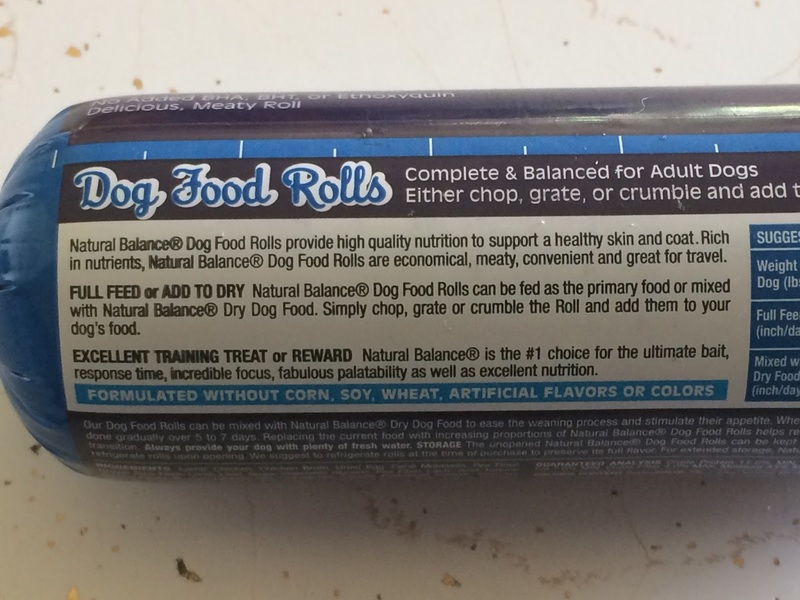 The food is compacted in an air tight casing with markers to help you figure out how much to feed your dog on a daily basis - whether the Nature Balance Dog Food Rolls are composing your dogs' full diet, or if you are supplementing another food with Natural Balance. 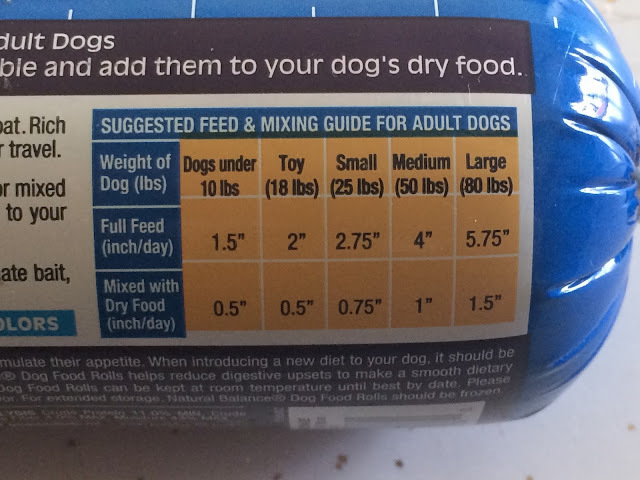 A full tube is roughly 6 inches, meaning this isn't exactly a cost-effective way to feed a large dog, but it's definitely a convenient way to feed a fresher, healthier diet compared to dry kibble. 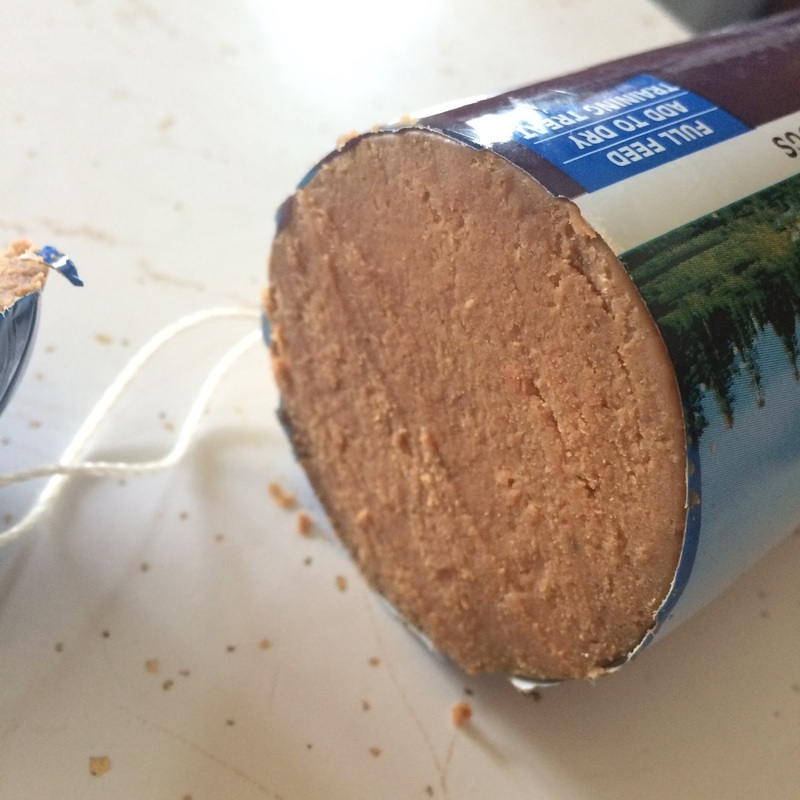 Venus would eat two inches daily if this is all I fed her on a camping trip, meaning this whole roll would last her a three day weekend, and that's perfect for us! It took a small amount of coaxing to get Venus to do more than just sniff her Nature Balance Dog Food Roll, but once she tried it we could tell she enjoyed it!